Washington coach Jay Gruden has said Robert Griffin III is the team’s starter “right now.” But it’s hard to believe that Griffin will remain the team’s starter for the duration of the 2015 season. Gruden showed last year that he’s willing to make a change at the quarterback position if he doesn’t see the results he’s looking for. And Gruden made many public comments indicating that Griffin doesn’t play the quarterback position the way Gruden wants. There’s also the simple fact that both Colt McCoy and Kirk Cousins were better than Griffin last year, the first year in Gruden’s offense for all three of them. Griffin takes so many sacks (33, more than McCoy and Cousins combined) and fumbles so often (nine times, again more than McCoy and Cousins combined) that he negates the advantage that his running ability provides. It’s great for a quarterback to be able to make plays with his feet, but not great for him to trust his feet to bail him out of so many situations that he doesn’t get rid of the ball when he’s under pressure and ends up taking sacks or fumbling. And Griffin simply isn’t the same runner anymore that he was as a rookie. 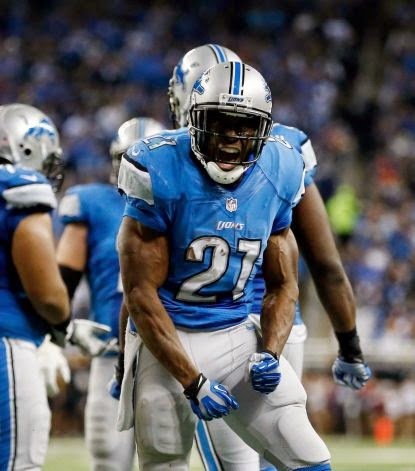 Griffin went from 120 carries for 815 yards and seven touchdowns in 2012 to 86 carries for 489 yards and no touchdowns in 2013 to 38 carries for 176 yards and one touchdown in 2014. Post-knee surgery, Griffin is a different runner. Even Griffin’s longest run of the season in 2014 was hardly something to celebrate: On a 23-yard scramble against the Giants, Griffin did a great job of breaking into the clear and picking up a first down. But instead of stepping out of bounds as soon as he passed the stick, Griffin cut back inside to pick up extra yardage. That resulted in a tackle that had Griffin going down hard on his knees. Griffin needs to learn that to protect himself better than that. If Griffin can’t protect himself better than that, the question of whether he’ll remain the starter will become moot because he’ll get hurt. But even if Griffin stays healthy, the simple fact is Gruden has never seemed to think much of Griffin as a quarterback, and unless Griffin can improve dramatically, it’s probably just a matter of time before Gruden benches him for McCoy or Cousins. 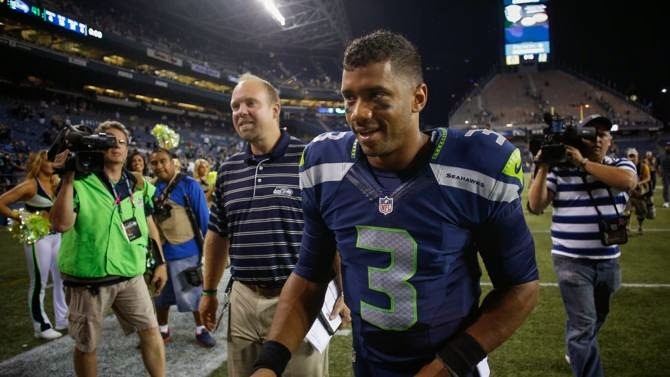 Seahawks quarterback Russell Wilson is heading into the final season of his contract, but he doesn’t sound overly concerned about getting a new deal done. The Seahawks get Wilson for this year at the bargain salary of $1.5 million. If they can’t get a deal done beyond this year, however, the only way they could ensure he doesn’t leave is to franchise him at a number approaching $20 million. Franchising Wilson is exactly what they’ll do if they have to, but they’d prefer to get a deal done before it comes to that. Wilson sounds like he’s ready for whatever happens: Ready to sign if the right deal comes, or ready to wait if he’s not satisfied with what the Seahawks are offering. Apart from the bright-line rules that were (and weren’t) adopted at the now-concluded annual league meetings, one thing became clear via the chatter among those in attendance: The Chargers are determined to leave San Diego for Los Angeles. They haven’t said so publicly, and they likely won’t for months to come. But enough is being said privately to lead to the inescapable conclusion that the Chargers are destined to escape from the city they’ve called home since 1961. With public money no longer a viable option in California (or pretty much anywhere) to construct an NFL stadium, the money necessary to build a new building in San Diego won’t be offset by the kind of revenue that justifies the investment. Instead, it now seems to be far more likely than not that the Chargers will partner with the Raiders in Carson, or that the Chargers will become the second team in the Inglewood stadium that will house the Rams. It means that the Rams or Raiders will be shut out of the market. The most common theory making the rounds in Arizona this week had the Rams joining the Chargers and the Raiders possibly filling the void in St. Louis created by the departure of the Rams. Regardless, 20 years of talk about a team moving to L.A. will soon be ending. In 2016, it now seems inevitable that the Chargers and another NFL team will be back in Los Angeles. Packers receiver Jordy Nelson is recovering from hip surgery. Green Bay coach Mike McCarthy said at the league meeting that Nelson felt hip pain at the Pro Bowl and had surgery after that. It’s not clear whether Nelson’s injury could slow him down during the team’s offseason program, but McCarthy did not sound overly concerned. Nelson has started all 16 games the last two years, and from all indications, Nelson will be good to go long before the start of the season. A year ago, the NFL seemed to be poised to expand the playoffs from 12 to 14 teams, effective in 2015. And then someone apparently realized that it didn’t make much sense to expand the playoffs before the year in which the playoffs would be expanded. So it’s now 2015, and there’s no proposal for expanding the playoffs as the league meetings commence — along with plenty of talk that there won’t be expansion of the playoffs this year. 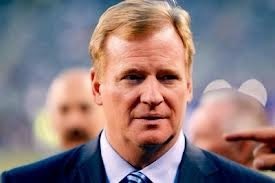 So Peter King of TheMMQB.com asked Commissioner Roger Goodell why the subject had cooled. Scheduling of that one extra game per conference, where the No. 2 seed would face the No. 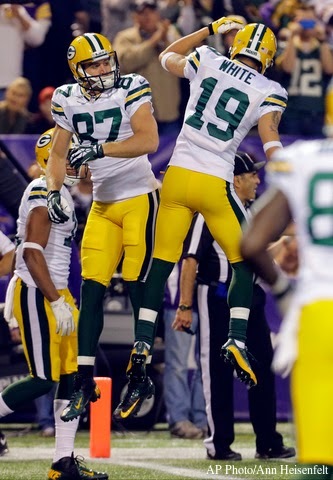 7 seed, also becomes a challenge, as Steelers owner Art Rooney II recently noted. Bumping a game to Monday night of wild-card weekend gives the winner limited rest for the divisional round — and it creates a potential conflict with the NCAA title game. “We’re respectful of college football,” Goodell said of the NFL’s free farm system. Goodell mentioned another complication that we (or at least I) hadn’t previously considered. The No. 2 seed could, in theory, end up playing home games for five straight weekends. If, for example, the team that emerges as the second best team in the conference finishes with back-to-back regular-season home games, hosts the No. 7 seed and wins in the wild-card round, hosts the divisional round and wins, and then if the No. 1 seed loses in the divisional round (which happens nearly half the time), the No. 2 seed would be looking at five home games in five weekends. Still, dollars will drive this bus (as they always do), and there are plenty of dollars to be made by staging two extra wild-card games. The prevailing belief is that even more dollars will be made by tying the extra playoff games to the Thursday night package. Once that happens, the other details will easily fall into place, with the college title game sliding to Tuesday night if need be and with teams that play outdoors in northern climates not finishing the regular season with consecutive home games. 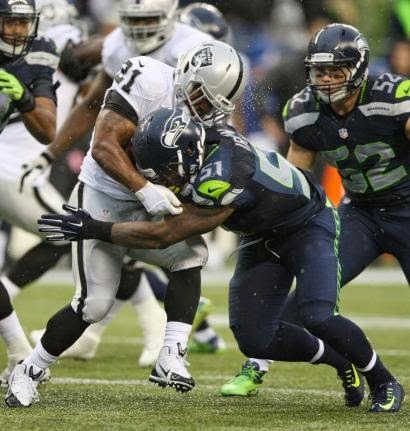 The Seahawks have increased Marshawn Lynch’s compensation to $12 million in 2015. They’ve also traded for Jimmy Graham, who’ll get $27 million over three years despite never playing a down for the team. Meanwhile, quarterback Russell Wilson continues to operate under a slotted third-round rookie deal that in comparison pays him peanuts. Terry Blount of ESPN.com, while appearing on 710 ESPN in Seattle, said that a deal between the Seahawks and Wilson could be coming. 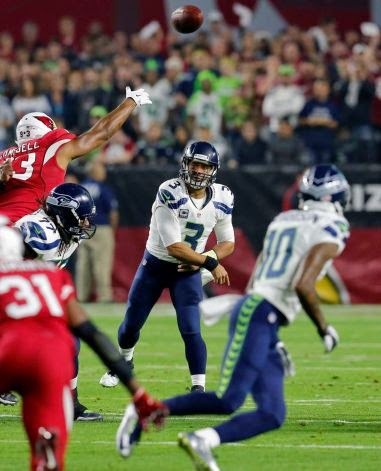 There has been plenty of speculation that the Seahawks are considering a fully-guaranteed contract for Wilson that would keep the cap burden lower while also ensuring he’ll get every penny. This would require owner Paul Allen to fully fund the future guarantees at signing, but that’s something he easily can afford to do. 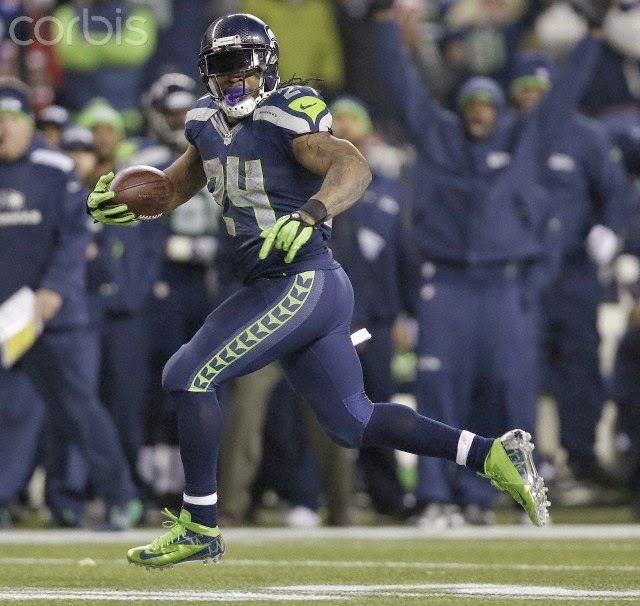 The Seahawks would have to be willing to assume the risk of career-ending injury. And they’d have to assume the risk of ineffectiveness. Most importantly, the team would be assuming the risk of non-career-ending injury leading to ineffectiveness. 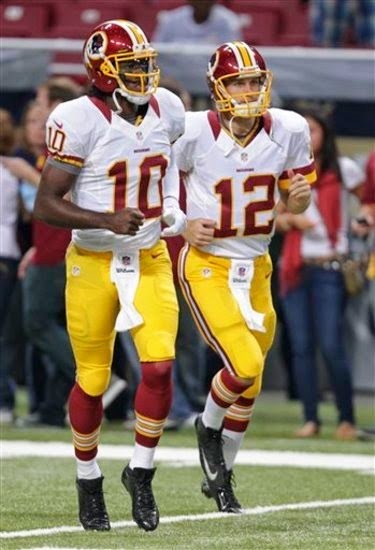 Case in point: Robert Griffin III. His torn ACL didn’t end his career, but it changed his career to the point where Washington may not pick up the fifth-year option on his rookie contract in May. A similar injury to Wilson wouldn’t end his career but it could significantly diminish his skills. Then what would the Seahawks and their “always compete” approach do with a guy into whom so much money has been invested? However they do it, the time has come to reward Russell Wilson. The challenge will be determining the right amount and the right structure — especially since some would say the jury is still out on his overall passing skills. It took eight days, but the best pass rusher on the open market finally has a new deal. 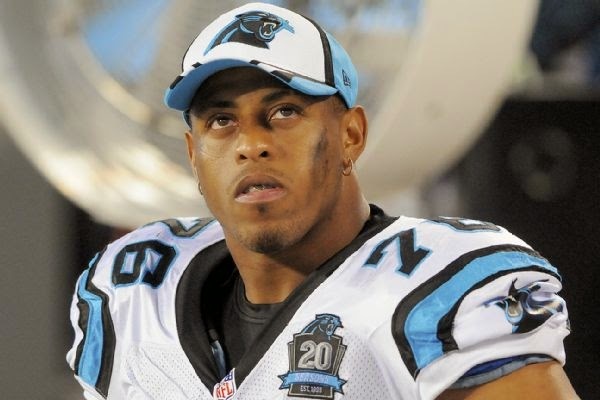 Per a league source, defensive end Greg Hardy has signed with the Cowboys. It’s a one-year contract, which carries a salary of $750,000. He can earn up to a total of $13.1 million (which was his base salary as Carolina’s franchise player in 2014) through a series of per-game roster bonuses, incentives, and a large workout bonus. Specifically, Hardy can earn a workout bonus of $1.3116 million, a whopping $9.25 million in per-game roster bonuses, and $1.8044 million in incentives based on sacks. The Cowboys chose to keep the base salary as low as possible in the event that another incident or accusation against Hardy puts him back on the Commissioner’s-Exempt list for all or part of the 2015 season. The thinking is that the Cowboys would only owe him game checks and not per-game roster bonuses if he’s suspended with pay. At last check, the league had not resolved the question of whether a player would be entitled to per-game roster bonuses and other items of compensation tied to playing in games while on the Commissioner’s-Exempt list. Either the NFL and NFLPA have agreed that a player on the Commissioner’s-Exempt list gets salary only or the Cowboys are preparing for that eventuality. It’s also possible that the contract contains specific language in which Hardy waives his right to anything except base salary, if placed on the Commissioner’s-Exempt list. If the NFL and NFLPA have yet to resolve that question, it’s presumably a topic that player and team could negotiate on their own. When Vince Wilfork became a free agent last week, it wasn’t long before speculation about his next home being in Houston started. 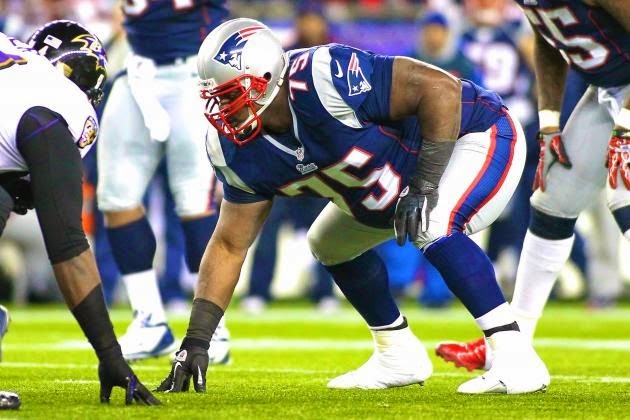 That speculation can come to an end because we now know that Wilfork will be joining the Texans. Wilfork broke the news on his Twitter account on Monday afternoon. The same reasons why speculation landed on Houston probably help it feel like home for Wilfork. There are plenty of former members of the Patriots organization on the staff in Houston, including coach Bill O’Brien and defensive coordinator Romeo Crennel, and his role as the plug in the middle of the defensive line should be the same as it has been in New England throughout his career. Reggie Bush has landed in San Francisco. The 49ers have signed Bush today, Adam Schefter of ESPN reports. Bush heads to San Francisco after a two-year stint in Detroit that started with a solid 2013 season but ended with a disappointing 2014 season. The Lions cut Bush after the season. San Francisco will be Bush’s fourth NFL stop, after five years in New Orleans, two in Miami and two in Detroit. At age 30 he’s not quite the playmaker he once was, and he won’t make up for the loss of Frank Gore all by himself. But he can still be a solid contributor in a limited role. Bush had also drawn interest from the Patriots, who may keep searching for a replacement for the departed Shane Vereen. Unless Chip Kelly’s plan at tailback after trading LeSean McCoy consisted of agreeing to terms with Frank Gore and not consummating and then agreeing to terms with Ryan Mathews and not consummating and then surprising everyone by chasing DeMarco Murray, Kelly’s plan changed on the fly. And the end result could be that Kelly has a new workhorse tailback who is cheaper than his last workhorse tailback and who has 656 fewer career touches than the guy who was shipped to Buffalo. Before his trade, McCoy was on the books for cap numbers of $11.95 million, $8.85 million, and $7.85 million. Murray’s new deal pays out $42 million over five years. While the cap numbers for 2015 through 2017 aren’t yet known, Murray surely will count for far less than $11.95 million in 2015. So Kelly essentially traded McCoy for Murray and linebacker Kiko Alonso. Assuming Murray can be highly effective a year after a career-high 442-touch season in 2014, it ultimately could be a good deal for the Eagles — assuming Murray is indeed used as the workhorse. The only thing odd about the outcome is the path Kelly took to get from McCoy to Murray. But that’s what makes Kelly unique. He’s always on his own path, whether it’s the path he intended or the one he just happened to stumble over. Justin Forsett wanted to get out of the friend zone this offseason and find a lasting relationship with a team after his breakout 2014 for the Ravens. He didn’t have to look far to find it. 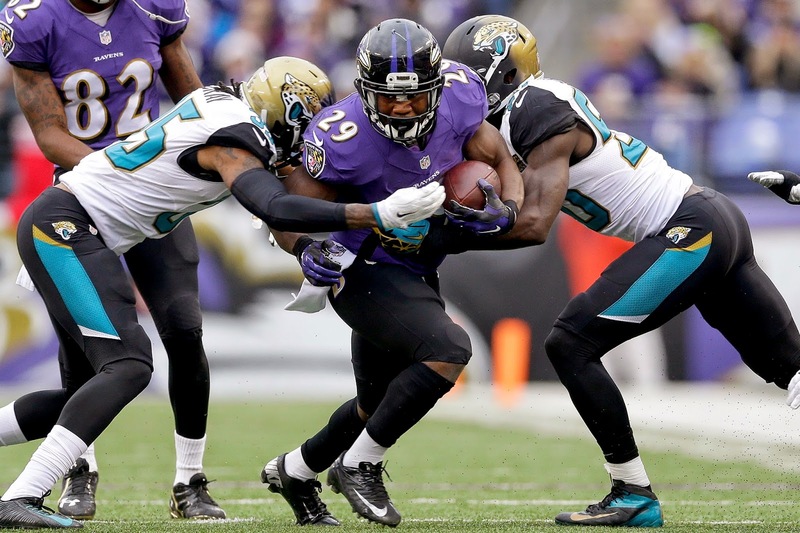 The Ravens announced Forsett’s return to the team on Thursday afternoon. Adam Schefter reports that Forsett and the Ravens have agreed to a deal that will keep him in Baltimore for the next three years. Forsett stepped into the lead running back role in the third week of the season after Bernard Pierce (who was replacing Ray Rice) was injured and never looked back. He ran for 1,266 yards and eight touchdowns on 235 carries and added another 263 yards on 44 catches to help the Ravens advance to the divisional round of the playoffs. There were whispers of interest from other teams heading into free agency, but Forsett said he wanted to be back in Baltimore and it doesn’t look like he ever got close to leaving. 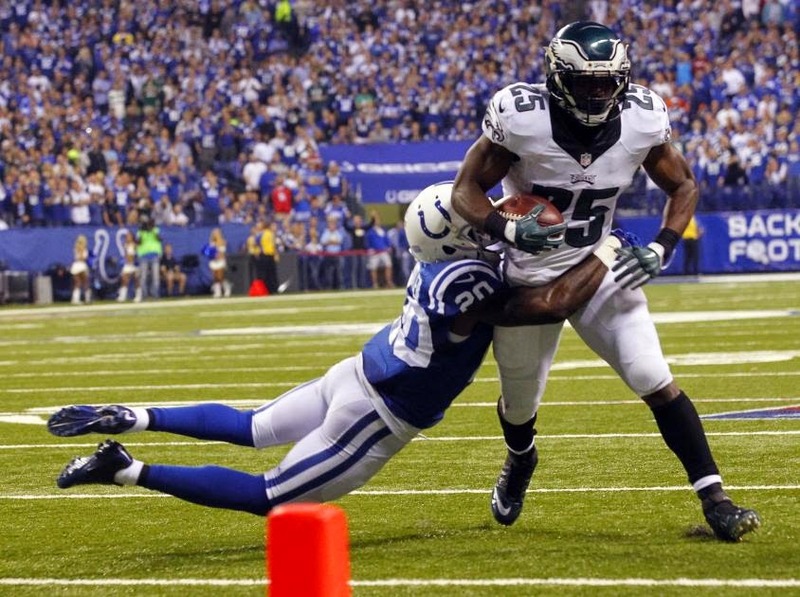 If all goes as planned, DeMarco Murray will be an Eagle by the end of the day. That’s the word from Adam Schefter of ESPN, who says that not only is Murray visiting Philadelphia today, but he is expecting to sign a contract with the Eagles. The Cowboys and Murray have been in talks, and other teams including the Raiders and Jaguars have shown interest as well, but from all indications Murray wants to go to Philadelphia. He thinks he can win there, he thinks he’s a fit in the offense, and he’s close friends with Sam Bradford, the quarterback the Eagles just acquired in a trade with the Rams. Murray is the reigning NFL rushing leader and Offensive Player of the Year, and he’s arguably the best free agent still available, two days into free agency. Adding him would give a major boost to Chip Kelly’s offense, and alleviate some concerns among Eagles fans that Kelly doesn’t have a plan in place. Clearing cap space to acquire Murray certainly qualifies as a plan. Whether it’s a winning plan remains to be seen. The AFC East keeps getting more and more interesting. Cornerback Darrelle Revis, two years after being traded by the Jets to the Buccaneers, has agreed to terms to return to the Jets. 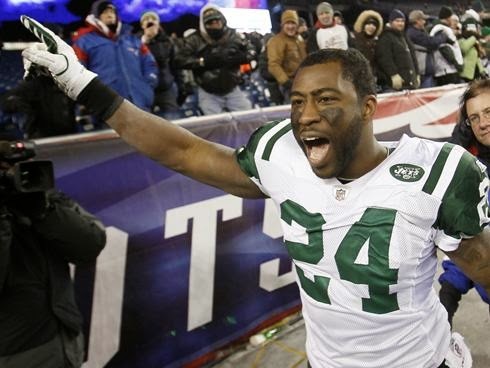 Revis became a free agent earlier today, after the Patriots decided not to pick up a $20 million option for 2015. The Jets likely offered considerably more than the Patriots. It’s believed that Revis would have taken less to return to New England. The move comes at a time when tampering charges are still pending against the Jets based on comments made by owner Woody Johnson after the 2014 season ended. It’ll be interesting to see whether the Jets make a separate charge based on allegations of more recent tampering, including a leak to the New York Daily News that Johnson was pushing the front office to sign Revis and/or that the Jets were negotiating with Revis while he was still under contract with the Patriots. Last year, Johnson had no interest in Revis after he was cut by the Buccaneers. It’s unclear why or how he changed his mind. 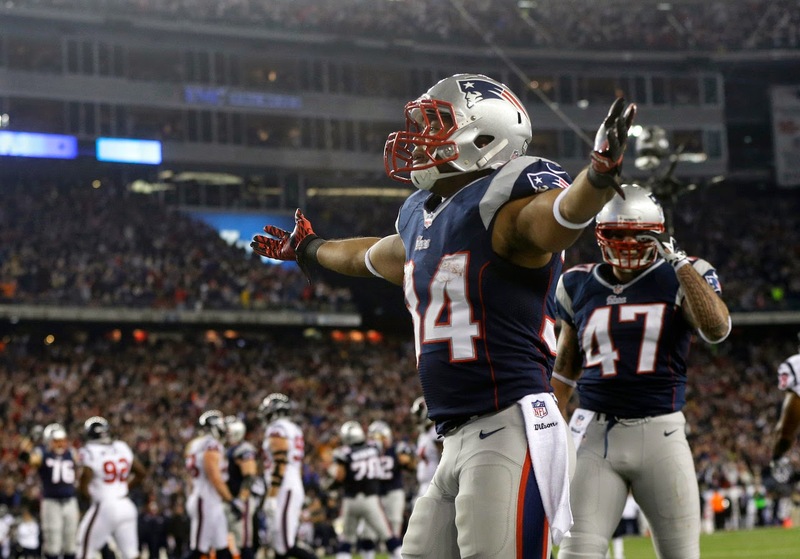 Shane Vereen is heading to the Giants. Vereen, the veteran running back who has spent his entire four-year career with the Patriots, will sign with the Giants today. According to Mike Garafolo of FOX Sports, the deal is as done as it can be before the official 4 p.m. start of free agency. Vereen joins a Giants backfield that also includes Rashad Jennings and Andre Williams, and a Giants Offense that has a lot of talent, with Eli Manning passing to receivers Odell Beckham Jr. and Victor Cruz and tight end Larry Donnell. The 26-year-old Vereen was never a regular starter for the Patriots, but he made solid contributions both as a runner (391 yards last year) and as a receiver (447 yards last year). The Patriots will feel the loss of Vereen, but they should be fine at running back with LeGarrette Blount, Jonas Gray, Brandon Bolden and James White all on the depth chart. Peyton Manning’s fourth (and perhaps final) year in Denver won’t include one of his favorite targets. 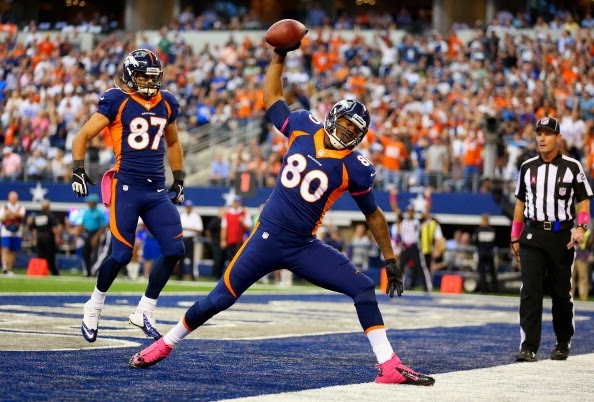 Per multiple reports, tight end Julius Thomas plans to sign with the Jaguars on Tuesday. Of course, no team is allowed to make any offers during the three-day negotiating window. So nothing is binding on Thomas or the Jaguars. So the other teams involved could still try to make the same kind of push that the Colts apparently have made to get running back Frank Gore to reconsider. 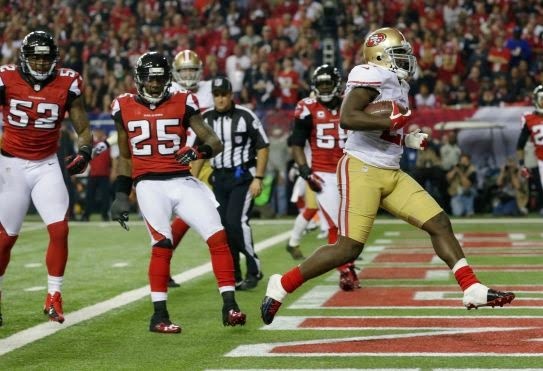 The Frank Gore era in San Francisco is about to come to an end. And there definitely was one. Ten seasons, 11,073 rushing yards. Another 2,883 yards receiving. A league source tells PFT that, barring something unforeseen, Gore will sign with the Eagles. The contract is expected to pay $7.5 million guaranteed over the first two years. Adam Caplan and Adam Schefter of ESPN recently reported that Gore is telling people he’ll sign with the Eagles this week. Gore will give Eagles coach Chip Kelly the north-south, hole-hitting runner the Philly offense needs. And it will require the 49ers to find a replacement. Again, it’s not a done deal. And “something unforeseen” could happen, such as another team swooping in with a much better deal. Don’t count on that team being the 49ers. Another source tells PFT that the 49ers never intended to bring Gore back for an 11th season, but that they didn’t want an ugly ending with one of their cornerstone players of the last decade. The Colts also are reportedly interested in Gore. Regardless of whether Gore signs with the Eagles or someone else, “something unforeseen” has indeed happened; the running back market has been revived from its recent flatline status. Maurice Jones-Drew is calling it a career. Jones-Drew, a nine-year NFL veteran and a long-time Jaguars standout running back, announced his retirement Thursday on Twitter. One of the most unique backs of any era, the 5-foot-7, 210-pound Jones-Drew amassed 11,111 rushing-receiving yards and 91 touchdowns. A second-round pick of Jacksonville in 2006, Jones-Drew burst on the scene as a rookie, scoring 15 touchdowns, which endeared him to Jaguars fans and fantasy-football enthusiasts alike. And Jones-Drew’s tenacity made a mark, too. Look no further than his clean, de-cleating block of the Chargers’ Shawne Merriman early in his career. After eight seasons with Jacksonville, Jones-Drew joined the Raiders for the 2014 season, but he mustered just 96 yards on 43 carries. Now, the 29-year-old Jones-Drew’s career is at a close, by his choice, and there will forever be a place for him in the game’s lore as a back who, for many years, played bigger than his program weight and height. Buffalo needed to add a veteran quarterback this offseason, and now the Bills have their man: Matt Cassel. The Bills and Vikings announced today that they have agreed to a trade that will send Cassel to Buffalo. Technically the trade can’t be completed until the league year starts on Tuesday, but both teams have agreed to it. 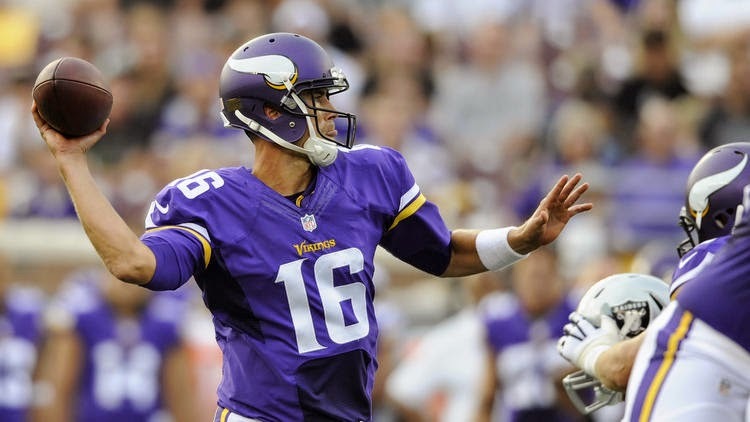 The Vikings will get draft pick compensation for Cassel. According to Alex Marvez of FOX Sports, the Bills will trade the Buccaneers’ 2015 fifth-round pick (which the Bills acquired in a previous trade) for the Vikings’ 2015 sixth-round pick, and Buffalo will also give Minnesota a 2016 seventh-round pick. Cassel opened last season as the Vikings’ starter but suffered a season-ending injury in Week Three, and with the emergence of Teddy Bridgewater last year, there was little reason for the Vikings to bring Cassel back. In Buffalo, Cassel will compete with EJ Manuel to be the starter. The winner of that competition will hand off to LeSean McCoy, whom the Bills traded for on Tuesday. The Bills are off to an active start this offseason, even before the opening of free agency. In response to the report that the Eagles will ship running back LeSean McCoy to the Bills for linebacker Kiko Alonso, agent Drew Rosenhaus contends that the deal isn’t done yet. Nothing can be finalized until Tuesday, March 10 at 4:00 p.m. ET. So the information the Eagles provided to Rosenhaus is correct, even if the two teams have struck a deal in principle. Even if an agreement has been reached between the two teams, either side can back out. If McCoy makes it clear that he’s not on board with the deal, the Bills may not want him. So, basically, stay tuned. The new substance-abuse policy imposes a two-game suspension for a first-offense DUI. By landing on probation for a July 2014 DUI arrest arising from marijuana use, Steelers running back Le’Veon Bell is expected to be suspended for two games. But there’s a catch that could result in a doubling of Bell’s expected punishment. The new substance-abuse policy makes a two-game suspension the standard penalty for a DUI arising from alcohol use. For violations of the law involving other substances of abuse, a first offense exposes the player to a suspension of “up to four” games. It’s unclear whether the NFL will give Bell, who becomes the test case for the new substance-abuse policy, four games, three, two, or fewer. The prior substance-abuse policy also exposed players to a suspension without pay of “up to four” games for violations of the law for substances other than alcohol. Still, it would be a surprise if Bell gets less for DUI-marijuana under the new policy than he would get for DUI-alcohol under the new policy. But don’t be surprised if he gets more, especially since alcohol is legal in Pennsylvania and marijuana currently isn’t. Either way, the Steelers need to have a solid plan in place for replacing the team’s workhorse tailback for at least two and as many as four regular-season games in 2015. The Cowboys are reportedly ready to give their top wide receiver the franchise tag. Dez Bryant is likely to be designated the Cowboys’ franchise player on Monday, club COO Stephen Jones said Saturday, according to Mark Lane of Fox Sports Southwest. “I still think that it’s probably, you know, would be a stretch to think that we would have something done by Monday and beat the franchise-tag deadline,” Jones told Fox Sports Southwest, indicating the club was “eyeing” giving Bryant the tag. 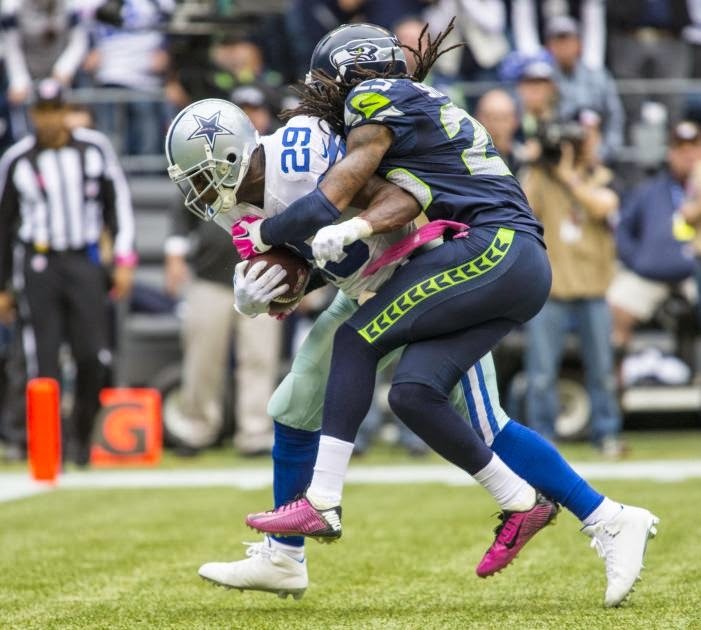 Also, ESPN Dallas’s Todd Archer reported Jones had said the club had informed Bryant’s agent the tag was coming. The top offensive player in PFT’s Free Agent Hot 100, the 26-year-old Bryant hauled in 88 passes for 1,320 yards and 16 touchdowns last season. He has exceeded 1,200 receiving yards and caught at least a dozen touchdowns in each of the last three seasons for Dallas, which captured the NFC East in 2014. The deadline for clubs to use the franchise tag is Monday.